The Common Gulls at the local park have been back for a few weeks, slowly building up in numbers to about a hundred today. 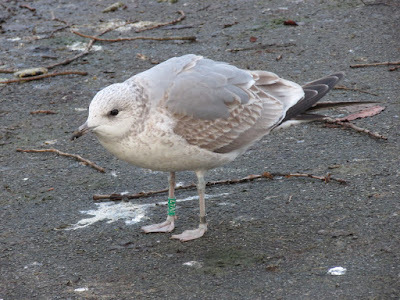 I searched for ringed ones and found JV47, which I first saw on its first winter in January 2015. It is a fully adult gull now and trusting enough to allow me to take a close up. JV47 as a 1st winter immature in typical chick 'hunchback' posture (23/1/2015). 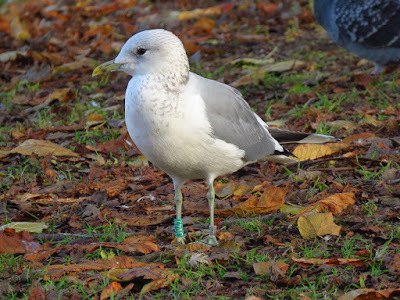 He was ringed the previous October at Bergen, Norway. Click here to find out about other ringed common gulls at Pearson Park. If you find a ringed gull and you can read the ring, you can report it to Euring, the European Ringing scheme. Beautiful individual! It is amazing to see that it was ringed in Norway, I would travel all over the world if I had wings too. Lol, yes I'm not sure that branch of birding has a name 'gullology'? Gulls are really hard with the different subspecific variation and age moulting patterns. 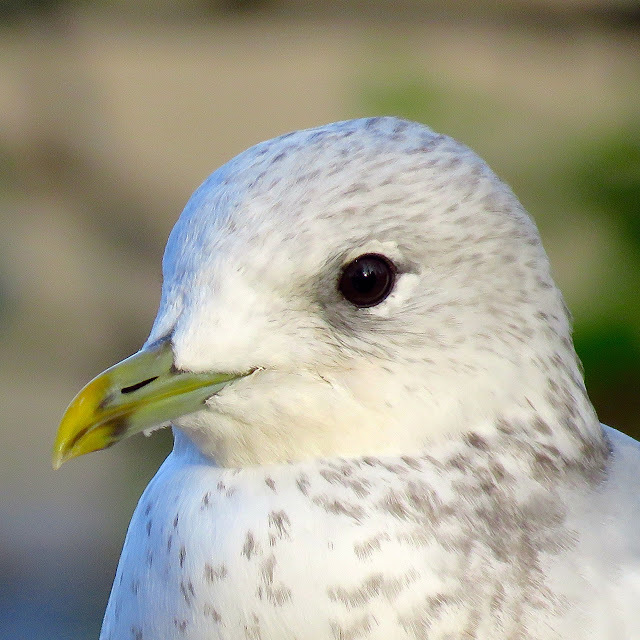 I love Common Gull faces, they have a very rounded head and the eyes are amazing! A lovely close-up picture. Common Gulls' dark eyes make them look gentle, which they are not. I agree Ralph. Every year I take so many photos of them, they are quite feisty though!